The 190-Richardson Office is located at 3621 Shire Blvd., Suite 100, in Richardson, near the corner of State Highway 190 and Jupiter Road. Managed by Ebby Regional Vice President Malinda Howell, the office serves the real estate needs of Richardson, Garland, Rowlett, Sachse, Wylie, Murphy, Plano, Allen, Lucas, Lovejoy, Parker, North Dallas, and beyond. Ms. Sims is widely admired by clients and peers alike for exemplary customer service and her dedication to helping clients enjoy a smooth transition in one of the most important decisions of their lives. Ms. Daniel is well known for her honesty, integrity and extensive knowledge of the North Texas area. 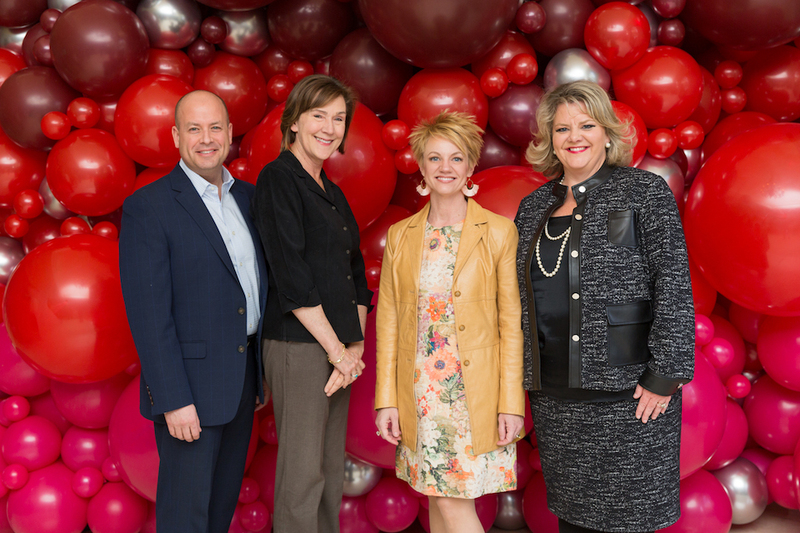 PHOTO: Shown, from left, are President and CEO Chris Kelly, Companywide VIP Excellence in Service Runner-up Pam Daniel, Companywide VIP Excellence in Service winner Heather Kinder Sims and Malinda Howell, regional vice president and sales leader of Ebby’s 190-Richardson office. To learn more about Ebby Halliday Realtors, its Associates and listings, visit the award-winning ebby.com.